Perfect Stay! We made the booking fairly late in the evening and the hosts couldn't have been more accommodating or friendly. A lovely welcome. Beautiful house, spotlessly clean with everything you could possibly need. Access to a fridge a really nice touch. Highly recommend staying here. Very clean and great breakfast. A warm welcome from Margaret to a homely comfy B&B. Private, clean,lovely breakfast, Good locality. Very hospitable and friendly welcome could not have done enough to help me during my stay. Margaret nos trato fenomenal. La limpieza es excelente. La cama nos atrapó y dormimos 10 h seguidas. Absolutely beautiful home. From the minute we arrived to a warm and friendly welcome we knew we had picked a fantastic B&B. Rooms were warm and spacious, bed was very comfortable and clean and the bathroom was absolutely beautiful with a fantastic power shower. Mr and Mrs McCloskey were definitely 2 of the nicest and friendliest people we had ever met and they did so much for us to ensure we enjoyed our stay while reassuring us it was no trouble. The cooked breakfast was fantastic and we were sent on our way well rested and happy. Although sad to leave such a beautiful friendly home Mrs McCloskey waved us off with a hug and wishes of a safe journey. Best B&B I've ever stayed in and most definitely 2 of the nicest and friendliest people I've ever met. Their beautiful home is a credit to them, I will happily be returning for another visit. 10 out of 10. Wonderful hosts with warm welcome and Margaret served up beautiful fresh scones and a pot of tea on our arrival when she found we hadn't eaten. Beautiful room and quiet house. Ottima sistemazioneLa signora Margaret è molto gentile e premurosa, la camera (tripla) spaziosa e pulita, la colazione molto buona. Great place great people. Cheerful helpful couple, extremely helpful. Would stay again with no hesitation whatsoever. Very friendly staff. Quick and good breakfast. Nice clean room. Great hosts and great breakfasts. Central location to the Antrim coast. Highly recommend - very comfortable and welcoming. The room was very comfortable and the breakfasts were excellent. However the icing on the cake was the welcome and kind attention from Margaret & Jim. When you travel alone, the right 'digs' can turn a good holiday into a great one. Thank you Margaret (and Jim) for making this a fantastic holiday for me! 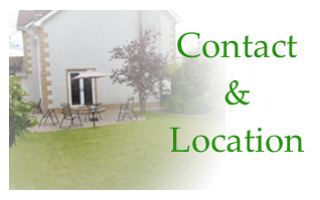 I booked Edenroe on behalf of my parents having stayed there during the Summer and loved every moment. My parents stayed for 2 nights and found Margaret and Jim, the proprietors to be so welcoming and friendly. They loved their room and found it comfortable and homely. Margaret and Jim were very Informative and friendly with their knowledge about the local area. My parents were extremely happy with their stay and plan to return giving it 10 out of 10. Ideal for our wedding weekend. Very friendly and homely Local knowledge too. 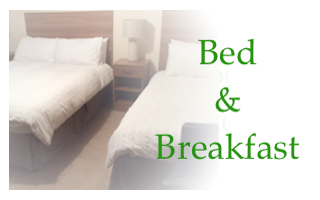 The owners were very friendly; the breakfast delicious and the rooms very comfortable and decorated to a high standard. Liked the friendly cheerful attitude of Margaret and her spouse. The room was a great place to stay at as well and the breakfast was simply awesome! Staff very nice and facilities were excellent. The host was very friendly and accommodating had a good knowledge of the area and made good recommendations on where to eat. First Class Irish b&b on Peace Process Trail. The greatest thing about this b&b is Margaret and Jim, such friendly characters. I was visiting on the peace process trail and had a Kevin Lynch's Hurling Club shirt, a must have souvenir of a trip to Dungiven, delivered to me at the b&b. In fact the family home is only a couple of doors away. The b&b is also just a short walk from the town's pubs! I look forwards to staying again at the earliest opportunity and treating myself to a lovely full Irish breakfast. Only had time for 1 night stay! Pour une nuit. Hôtes chaleureux. A lovely house and home. Perfect for either business or pleasure. I stay in a number of corporate hotels and this was a refreshing alternative. I had an extremely warm and comforting stay at this home and the friendliness and cleanliness of the home was second to none. If I was to return either on business or for pleasure I would have no hesitation from staying here again and would happily bring my family. Smashing & thank you. Very welcoming, very comfortable, very nice evening meal. Really friendly and helpful proprietor, great breakfast. Great welcome, spotlessly clean and great breakfast. Excellent location. 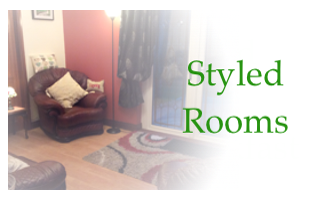 Delightful accommodation in Dungiven. Friendly owners and such a good breakfast. Friendly reception and very helpful. Everything was spotless and tidy. Proper family feel. You couldn't fault the place, from Jim and Margaret's hospitality to the full Irish breakfast served each day. We received a warm welcome from our hosts. The B&B was sparkling clean and had everything we needed. Located in the beautiful Roe River valley and close to the coast of Northern Ireland and the Giant's Causeway. Short stay very convenient. Friendliness of proprietors. Excellent hosts. Margaret and Jim were very welcoming Tea and biscuits on arrival.The décor was lovely and the bed was the most comfortable in any of our travels.Breakfast of your choice was a great start to the day,served at guests convenience.We are hotel types ,,this is only second time in B&B and we plan to come back here again when in the area.